The Hoegh Saturn Urn is constructed of high impact styrene plastic and is an inexpensive alternative to a casket. It features a wide mouth and easy open/close plastic bag for cremains and an indentation for a metal name plate to personalize the urn. 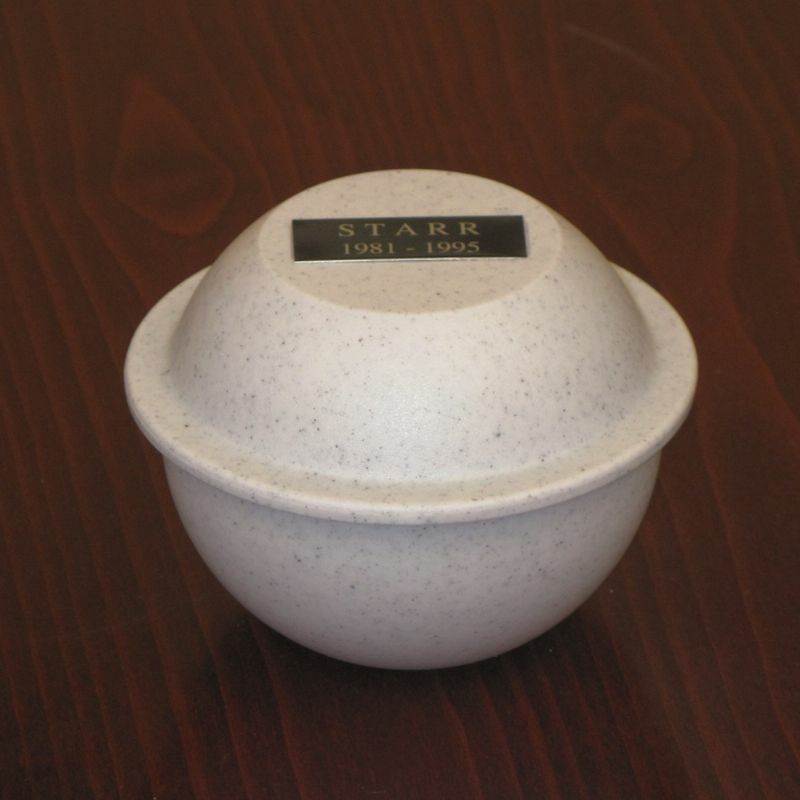 The Saturn Urn is a speckled gray color with a textured finish. 5" x 5" x 3.75"